Leather-based nevertheless has a luring element due to the fact it’s miles an exceptionally versatile cloth a good way to combine with an expansion of fabric, woven textures and shades in an aesthetically alluring manner which means that it can be paired with nearly anything determined in your cloth wardrobe. Everybody reveals it hard to buy gives for friends and own family, however, if you’re on the fence approximately what to buy a cherished one, and then keep in mind a real leather jacket makes a terrific gift…and could maintain them feeling heat and comfy through those cold and frosty days for the winters to return. 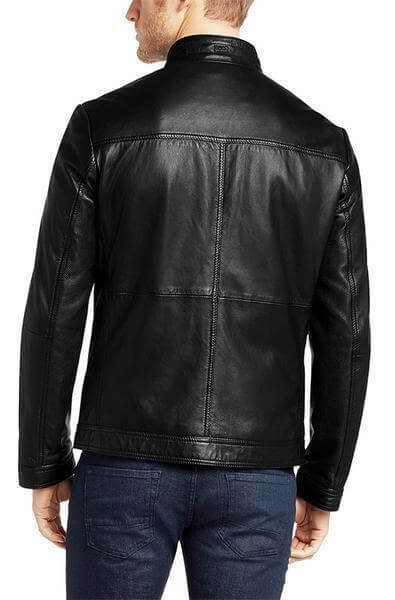 Leather Jackets Black is going to introduce the Men Classic Marlon Leather Jacket. This jacket is made up of high-quality real leather with viscose lining inside the jacket. Its stunning black color adds some charm to its beauty. Marlon Leather Jacket has four front bomber style pockets and two inside jackets. This eye-catching jacket has YKK zipper closure. It has a round neck collar style. The quilted shoulders of this jacket look very beautiful. 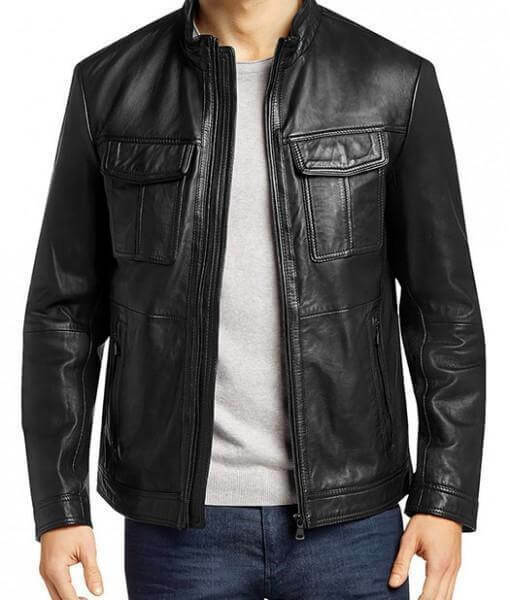 Men Classic Marlon Leather Jacket has fine and tidy stitching. It has long sleeves with buttoned cuffs. Don’t forget to add this beautiful jacket into your wardrobe. Wow! I love this jacket! Thankfully the arms fit correctly and the body of the jacket is reasonably tailored for a person who is not carrying a ton of extra weight. It is a bit long on me, but such is life. I found the color to be accurate to the representation. The size was as expected and it is very comfortable and the quality you would expect from the brand.